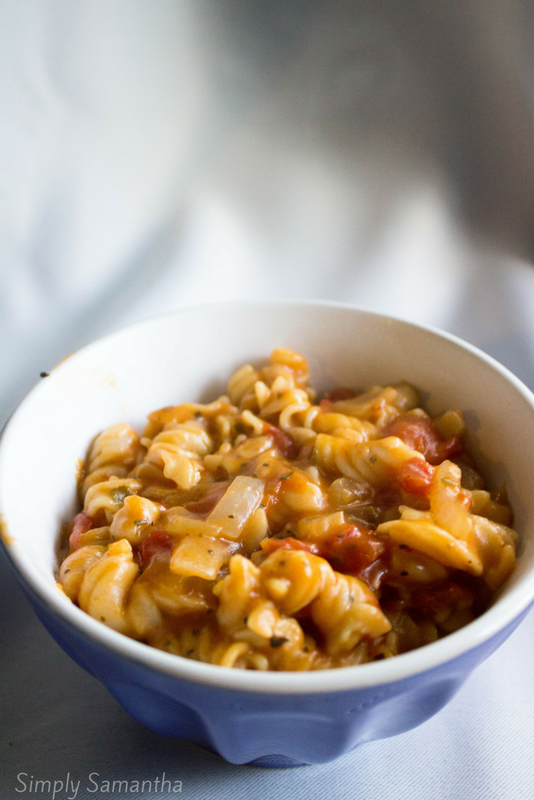 This is going to be your week night saving grace if you're looking for a quick pasta meal to make during the week. It can be eaten on it's own or you can add some veggies, protein, even some mozzarella cheese to it if you so please. 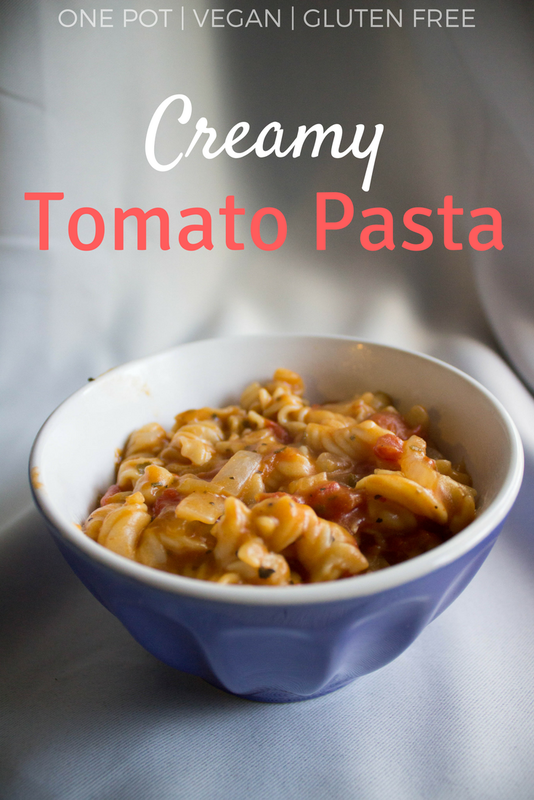 You won't realize there isn't a lick of dairy in this creamy, thick, pasta goodness! There isn't much else to say about this recipe other then you should add it to your meal plan this week! 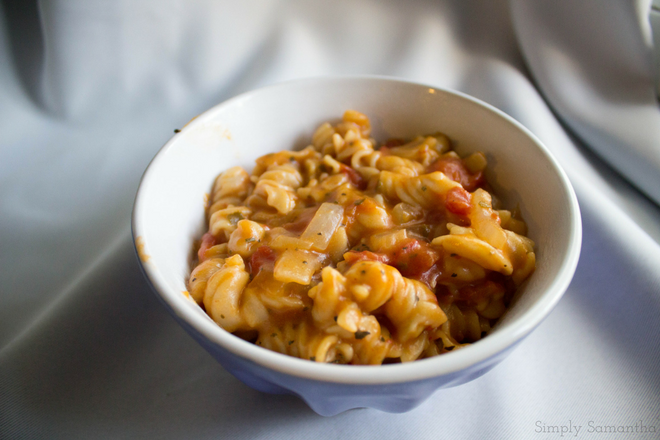 A big one pot full of vegan, gluten free goodness! In a large pot combine all ingredients except basil, salt and pepperStir together (add more water if you feel the noodles aren't covered) and bring to boil.Reduce heat and simmer for up to 20 minutes. Stirring from time to time so the pasta doesn't stick to the bottom of pot.Add salt, pepper and basil to taste.Stir to combine for one minute. Serve and enjoy! *use any type of gluten free pasta. I used fusilli pasta. But penne and elbow would work as well.